In some countries, black cats are considered bad luck, while in others they are a symbol of good luck! During the Middle Ages, cats effected the start and outcome of the Black Plague. Cats: Heroes During the Black Plague explains how this happened. Cats have an interesting history dating back to Ancient Egyptian times! Read, A Short History of the Domestication of the Cat to learn why cats were highly regarded some of the time, and treated unfairly at other times. Cats in general are well known for their great sense of balance. See how well you can balance with these activities! Warning: When you try these activities, have something to grab on to or a safe place to fall so that you don’t get hurt. – Stand on one foot for as long as you can, switch sides after a couple of minutes, then close your eyes and try it again. How long can you stand on one foot with your eyes open? How long can you do it with your eyes closed? – Put a line of masking tape on the floor and walk the line without falling off. Close your eyes and try again. – Balance an unsharpened pencil: on your fingers, on one finger, in your hand, on your nose, and on your forehead. Try this activity with the pencil standing up, or laying flat, whenever possible. How long can you do this? – Put a book, a rolled up sock, or a bean bag, on top of your head and walk around with it. For an extra challenge, hop or stand on one foot while balancing something on top of your head. – Put a bean bag or a rolled up sock on your foot. Raise your foot, keeping the item in place, try to flip the item up and catch it. Switch feet. Then kick the object around, keeping one foot off the ground at all times. Flip it to your hands and back down. How many times can you juggle the object this way? 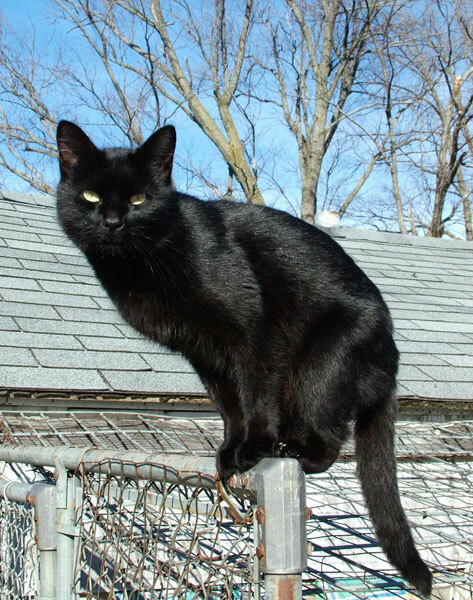 CSI: Superstition Bash: Black Cats – This article gives some of the reasons black cats were considered good and bad luck. Today I Found Out: Why Black Cats Are Considered Bad Luck – Find out how black cat got a bad reputation. PoeStories: Edgar Allan Poe’s: Black Cat – A short story written by Edgar Allan Poe, published in 1845. 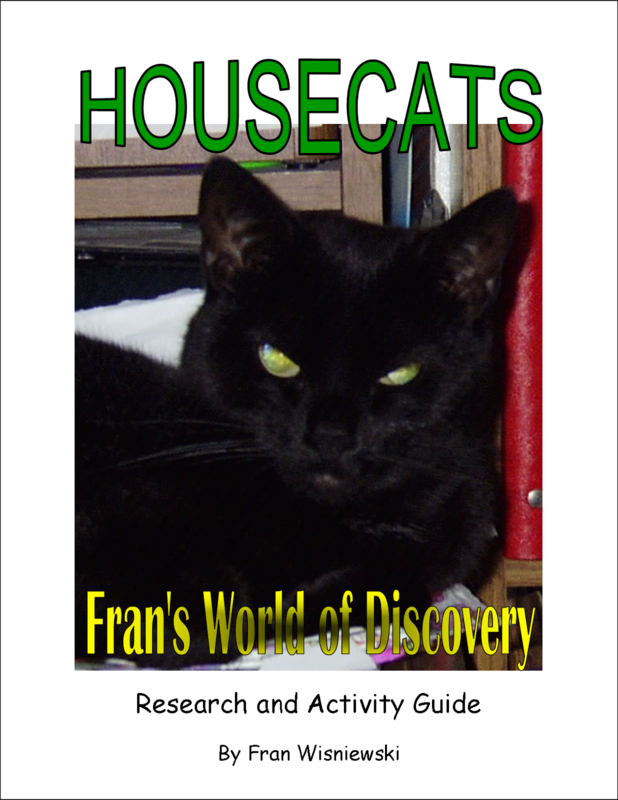 I have a Housecats Research and Activity Guide and Resource page available for anyone interested. Connect with Funschooling and Recreational Learning! Note: Has this or another activity on Funschooling and Recreational Learning inspired you or someone else in a positive way, or have you featured this activity in a blog post? I invite you to comment and link back to where your post can be found, or tell me what you or your family enjoyed about the post! Thank you!